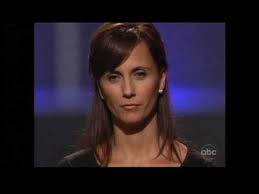 So how do you go on the Shark Tank Show and blow a deal, twice, and still come out very successful? Just ask James Martin the inventor of Copa Di Vino. Martin first appeared in season 2 when Kevin O'Leary was interested in taking the wine by the glass patent and making a royalty off large wine makers. James stuck with his dream of making Copa Di Vino a standalone product using quality wine and confidently walked away with no deal. Copa DaVino is wine a glass. The wine comes in 7 varieties which consists of Chardonnay, Merlot, Pinot Grigio, Riesling, White Zinfandel, Cabernet and Moscato. 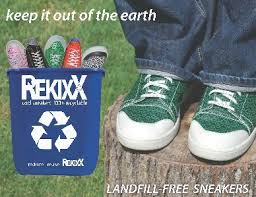 The patented glass like container's are made out of recycled plastic. Just like beer has been sold by the can for centuries, now wine can be sold by the glass at places never imagined. No corkscrew, no wasted wine from opened bottles, just a glass of wine anytime you'd like. James Martin comes back in the Shark Tank more confident than ever. He now has a sold $5 million in product and can't keep up with demand. He needs an investment from the Sharks to open up a second bottling plant and has enough orders to instantly double the sales. Not a bad position to be in when dealing with angel investors at any level. But the Sharks sense a bit of desperation when Martin admits they are putting all their revenue back into inventory. O'Leary says he could have made $500 million instead of only $5 million if Martin would have listened to him the first time. He offers him $600k for a 51% stake, the same offer from season 2. Mark Cuban begins to act interested in Copa DiVino when O'Leary out of character changes his offer to $300k for only a 12% stake. Half the money for a fourth of the equity. Mark Cuban wants in on this deal and asks James to step out of the Shark Tank for a few minutes so they can discuss this deal. While Martin is out of the room he takes the time to call a good friend Jim Koch, founder of Samuel Adams Beer. When he returns Mark Cuban, Kevin O'Leary and Robert Herjevic all offer him $600k for a 30% stake. The three wealthiest Sharks on the show in on the same deal. A deal like that would solve just about any financial expansion. James Martin brings $1000 bottle of wine packaged in Copa Di Vino to ponder a deal with 3 Sharks with a net worth in the billions. It may have been a moment he had been dreaming for a while but that was not the time to stop and smell the roses, sor-ta-speak. Mark and Robert both pull their offers leaving Kevin the lone Shark once again. He doesn't make a deal but has no hesitation going after the $1000 wine as Martin leaves the Shark Tank empty handed once again. The Copa Di Vino is an invention that really caught the big boy's sleeping at the wheel. This is something, surprisingly, was not on the market years ago as the beer beverage market has flourished. In terms of market, this product has the potential to easily reach 9 figures in the future. With the Sharks help these numbers could have been reached much faster, but with Martin's determination, it's only a matter of time. My prediction is Copa Di Vino will be bought out within the next couple of years for an undisclosed amount making him a multi million are many times over. Finding a need and filling it. That's what it's all about! 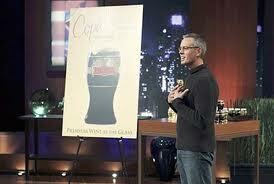 So many people trying to get on the shark tank show and Copa Di Vino gets a second chance and still no deal. looks to me like he was just looking for more free publicity then he was trying to made a deal. has there ever been a shark tank deal? I have never seen one. I just saw this episode on a United flight and I don't agree. The Sharks didn't make a legitimate offer. They priced the company less than existing sales warrant (let alone the significant backlog with the patent upside as a secondary or fallback option). I was amazed by Cuban's logic. The company owner doesn't like the valuation of $2.5 (that the $300k for 12%) option), so Cuban's counteroffers with the opportunity to sell even more of the company at an even lower valuation of $2m. In the end, Sharks didn't really line up with a legitimate offer. Completely agree. I don't think the Sharks (Mark Cuban particularly--I thought Martin made a great point when he questioned the "value" of a guy who can't even guarantee that he can get into the stadium of the team he owns--though Robert looked nearly as bad) have ever looked worse than they did in that episode. They insulted him with their lowball offer and then had the audacity to act like he insulted them. He will be much better off without the Sharks than he will be with them. That's not necessarily true of most of the entrepreneurs on this show, but in this case, they need him more than he needs them (just in a vacuum--obviously, all these guys and girls have enough money to not do anything). And last I checked, banks still loan money to highly profitable businesses. I saw the episodes a few months back, and just found Copa at my local Walmart tonight!!! I HAD to buy a few!!! Great stuff, Great Idea... stupid sharks! I found Copa at a little country store in Virginia, they didn't know what they had. I really enjoyed the Merlot. Great product!!! Great wine and I love the packaging!!! My favorite is the Moscato !! How is the wine distibuted thru a vendor or is it delivered on its own ? I would like to go to my grocery store and liquior store and ask they carry iy. I live in Texas(Gonzales) and our local grocery store store is H.E.B. . Do you know if they carry this? Or wahat stores carry this? That's the reason the one shark only wanted the packaging patent. 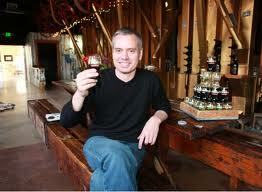 He could have multiple wineries distribute the "wine product" if he only had the patent rights. Literally could be in every store in the country, world! Its in Walmart in Florida, at least central Florida, just picked some up today. DeLand Florida to be exact!! I'm always glad when an entrepreneur becomes successful after the Sharks have turned them down or offered a deal that normally takes away the person's company, idea, or control. I especially hate it when they try to force deals with people only if they agree to manufacture in China! Recently I spotted Copa Wine at Sheetz, tried the Pinot Grigio and it was good. Kudos to him! If I had $300K to invest in it I would do it! The intent and uniqueness of this product is that it is single serve. Think ball games, concerts, plays, or if you just want a simple glass of vino at home without opening a full bottle. It has zero to do with being lazy. It's about simplicity. Much like your mind. I remember several years ago walking down the aisle and up some stairs in a crowded theater while carrying a cup of red wine to my seat...... many others around me, behind me have me worried they could spill theirs on top of my head..... this product avoids that possibility, so yes... the name is earned, dear idiot. Anonymous I agree with the OP. what is the big deal with this product, small serving delivery vehicles have been around a very long time, with moderate success; you are indeed sheep. some of us live alone and DON'T drink EVERY night. Thus a whole bottle of wine can go BAD if not used kinda "quickly"!!!!! Wonder if the wine is really any good!!!??? 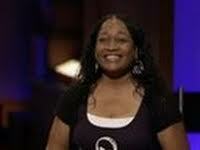 James Martin is my Shark Tank hero. He's using the show and these guys to make a fortune without their money. I see his displays everywhere. Kudos to him for making it happen on his own. I freakin love that guy. They can keep their crappy "deals", he's going to do just fine by himself. All aspiring entrepreneurs should take a page or two from his playbook. Know your stuff and the value of your product, REALLY know it. Arm yourself with knowledge and no one can take advantage of you. Copa Di Vino could get much more money from much friendlier venture capitalists with equally beneficial terms rather than the "celebrity" faces they have on. Great publicity though. Copa and Martin will do well without investment from any of the Sharks. None made legitimate offers. He has gained invaluable publicity from his exposure on the TV show twice and will succeed greatly. In fact, he will gain cash infusion from many different sources now, which he may not need. Found it at the Trading Post at WDW Fort Wilderness. I saw the episode with this product. Interesting idea but there are plastic bottles that have 1 to 2 servings on the market already and see them at many wine and liquor stores as well as small box containers of wine. So not that innovative.